Fashion watch with a silicone strap. Both the strap and face feature vibrant exciting colours. A lead time of 10-15 working days applies to this product. Colours: Yellow, Orange, Red, Green, Blue, Purple. Dimension: Face: W 44mm x H 44mm. Print Description: 19mm x 6mm (two colour max). Print Type: Pad Print. Packing: Loose packed. Less than minimum quantities are not available for this item. MOQ applies per colour on this item. 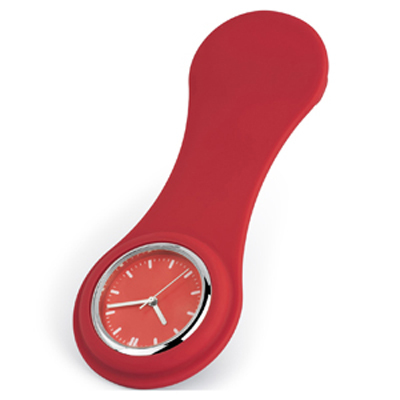 Square multifunction unisex watch with a Red LED digital readout and a silicone strap. Has time, day and month functions which can be changed at the touch of a button. A lead time of 10-15 working days applies to this product. Colours: White, Red, Lime Green, Blue, Black. Dimension: Face: W 38mm. Print Description: 25mm x 6mm (two colour max). Print Type: Pad Print. Packing: Loose packed. Less than minimum quantities are not available for this item. MOQ applies per colour on this item. Features: Our famous Nurse watch has a new design. 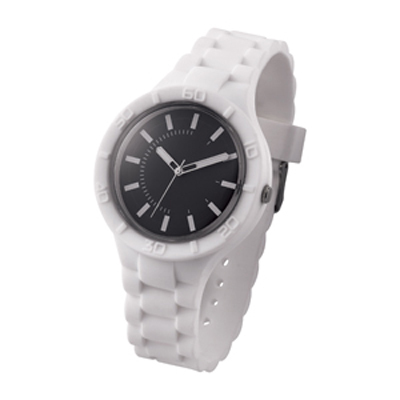 Alloy watch case with environmentally friendly silicone rubber housing and safety pin. Analog quartz movement. Shower proof construction. Battery Type 1 x button cell, Battery Life over 1 year, One year manufacturing guarantee. Material: Ally, Silicone. Product Colour: White, Grey, Blue, Red.. Product Size: 99 x 41 x 11 mm. Print Area: 30 mm diameter. Print Process: Pad Print. Delivery: 3-4 weeks (indent) from art approval. Standard Packaging: PSL Design box. Packing Details: 250 pcs per carton, 11 Kgs, 42x31x34 cms. 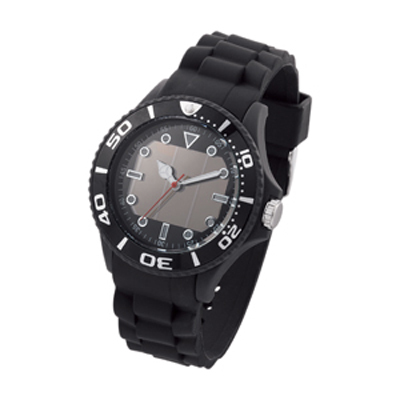 Features: High accuracy quartz movement, stainless steel case and silicone strap. 5 ATM water resistant, Button Cell Battery. Material: Stainless Steel, Silicone.. Certification: CNAS, ILAC-MRA. Product Colour: Black (dial) / Black (band) (01), White (dial) / White (band) (02), Gold (dial) / Black (band) (03), Rose Gold (dial) / Black (band) (05). Product Size: 43 mm diameter (case). Print Area: 15 x 7 mm (case back). Print Process: Laser Engrave. Delivery: 4-5 weeks (indent) from art approval. Standard Packaging: Black Box. Packing Details: 70 pcs per carton, 19 Kgs, 48x38x38 cms. 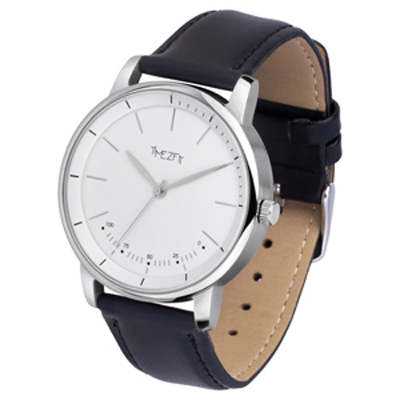 Features: High accuracy quartz movement, stainless steel case and leather strap. 5 ATM water resistant, Button Cell Battery. Material: Stainless Steel, Leather.. Certification: CNAS, ILAC-MRA. Product Colour: Black (dial) / Black (band) (01), White (dial) / brown (band) (02), Black (dial) / Black (band) (03), Blue (dial) / Brown (band) (04), Black (dial) / White (band) (05). Product Size: 43 mm diameter (case). Print Area: 15 x 7 mm (case back). Print Process: Laser Engrave. Delivery: 4-5 weeks (indent) from art approval. Standard Packaging: Black Box. Packing Details: 70 pcs per carton, 19.5 Kgs, 48x38x38 cms. Features: Stylish chronograph watch, high accuracy quartz movement, stainless steel case, denim and leather strap, 3 ATM water resistant, Button Cell Battery. Material: Stainless Steel, Denim, Leather.. Certification: CNAS, ILAC-MRA. 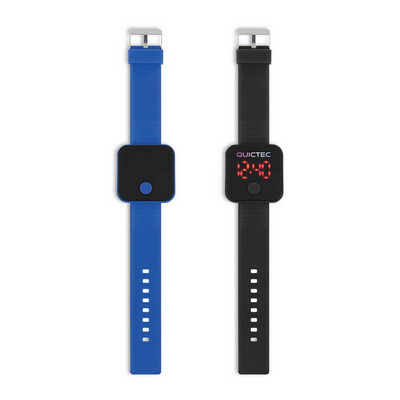 Product Colour: Black (dial) / Navy (band). Product Size: 42 mm diameter (case). Print Area: 15 x 10 mm (case back). Print Process: Laser Engrave. Delivery: 4-5 weeks (indent) from art approval. Standard Packaging: Black Box. Packing Details: 60 pcs per carton, 14 Kgs, 56x43x37 cms. Features: Stylish chronograph watch, high accuracy quartz movement, stainless steel case, denim and leather strap, 5 ATM water resistant, Button Cell Battery. Material: Stainless Steel, Denim, Leather.. Certification: CNAS, ILAC-MRA. Product Colour: Black (dial) / Navy (band). Product Size: 42 mm diameter (case). Print Area: 15 x 10 mm (case back). Print Process: Laser Engrave. Delivery: 4-5 weeks (indent) from art approval. Standard Packaging: Black Box. Packing Details: 60 pcs per carton, 15 Kgs, 56x43x37 cms. Features: High accuracy quartz movement, stainless steel case and leather strap, 5 ATM water resistant, Button Cell Battery. Material: Stainless Steel, Leather.. Certification: CNAS, ILAC-MRA. Product Colour: Black (dial) / Black (band). Product Size: 42 mm diameter (case). Print Area: 15 x 10 mm (case back). Print Process: Laser Engrave. Delivery: 2-4 weeks (indent) from art approval. Standard Packaging: Black Box. Packing Details: 60 pcs per carton, 15 Kgs, 56x43x37 cms. Features: High accuracy quartz movement, stainless steel case, stainless steel strap, 5 ATM water resistant, Button Cell Battery. Material: Stainless Steel.. Certification: CNAS, ILAC-MRA. Product Colour: Black (dial) / Black (band). Product Size: 42 mm diameter (case). Print Area: 15 x 10 mm (case back). Print Process: Laser Engrave. Delivery: 4-5 weeks (indent) from art approval. Standard Packaging: Black Box. Packing Details: 60 pcs per carton, 20 Kgs, 56x43x37 cms. Features: High accuracy quartz movement, stainless steel case and leather strap, 5 ATM water resistant, Button Cell Battery. Material: Stainless Steel, Leather.. Certification: CNAS, ILAC-MRA. 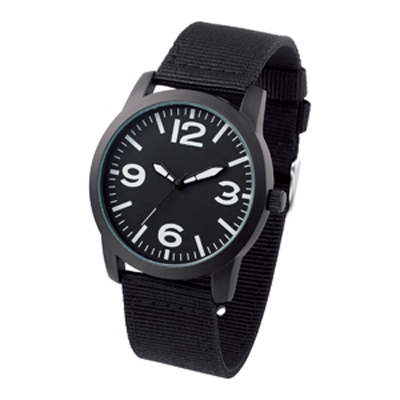 Product Colour: Black (dial) / Black (band). Product Size: 42 mm diameter (case). Print Area: 15 x 10 mm (case back). Print Process: Laser Engrave. Delivery: 4-5 weeks (indent) from art approval. Standard Packaging: Black Box. Packing Details: 60 pcs per carton, 20 Kgs, 56x43x37 cms. Features: High accuracy quartz movement, stainless steel case, stainless steel strap, 3 ATM water resistant, Button Cell Battery. Material: Stainless Steel.. Certification: CNAS, ILAC-MRA. 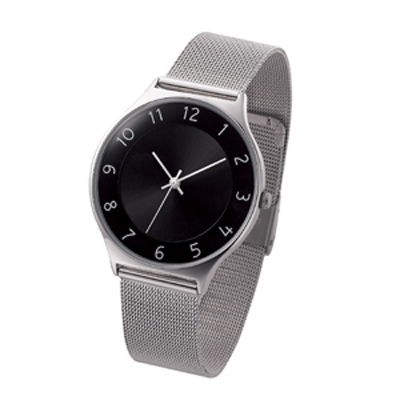 Product Colour: Black (dial) / Silver (band). Product Size: 42 mm diameter (case). Print Area: 15 x 10 mm (case back). Print Process: Laser Engrave. Delivery: 4-5 weeks (indent) from art approval. Standard Packaging: Black Box. Packing Details: 60 pcs per carton, 19 Kgs, 56x43x37 cms. 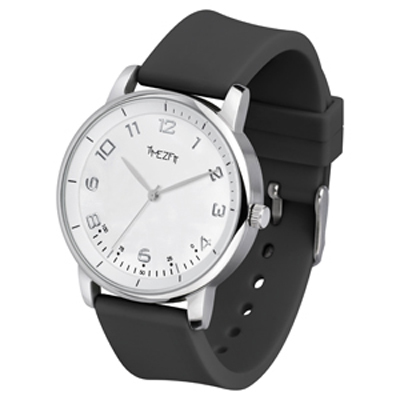 Features: High accuracy quartz movement, stainless steel case and leather strap, 3 ATM water resistant, Button Cell Battery. Material: Stainless Steel, Leather.. Certification: CNAS, ILAC-MRA. Product Colour: Black (dial) / Black (band). Product Size: 42 mm diameter (case). Print Area: 15 x 10 mm (case back). Print Process: Laser Engrave. Delivery: 4-5 weeks (indent) from art approval. Standard Packaging: Black Box. Packing Details: 60 pcs per carton, 15 Kgs, 56x43x37 cms. Features: High accuracy quartz movement, stainless steel case and leather strap, 3 ATM water resistant, Button Cell Battery. Material: Stainless Steel, Leather.. Certification: CNAS, ILAC-MRA. Product Colour: Black (dial) / Orange (band). Product Size: 42 mm diameter (case). Print Area: 15 x 10 mm (case back). Print Process: Laser Engrave. Delivery: 4-5 weeks (indent) from art approval. Standard Packaging: Black Box. Packing Details: 60 pcs per carton, 15 Kgs, 56x43x37 cms. 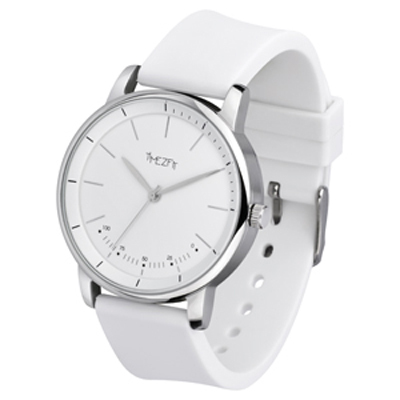 Features: High accuracy quartz movement, stainless steel case and leather strap, 3 ATM water resistant, Button Cell Battery. Material: Stainless Steel, Leather.. Certification: CNAS, ILAC-MRA. Product Colour: Beige (dial) / Brown (band). Product Size: 42 mm diameter (case). Print Area: 15 x 10 mm (case back). Print Process: Laser Engrave. Delivery: 4-5 weeks (indent) from art approval. Standard Packaging: Black Box. Packing Details: 60 pcs per carton, 15 Kgs, 56x43x37 cms. Features: High accuracy quartz movement, stainless steel case and leather strap, 5 ATM water resistant, Button Cell Battery. Material: Stainless Steel, Leather.. Certification: CNAS, ILAC-MRA. Product Colour: Black/Green (dial). Product Size: 41 mm diameter (case). Print Area: 15 x 10 mm (case back). Print Process: Laser Engrave. Delivery: 4-5 weeks (indent) from art approval. Standard Packaging: Black Box. Packing Details: 60 pcs per carton, 15 Kgs, 56x43x37 cms. Features: High accuracy quartz movement, stainless steel case and leather strap, 5 ATM water resistant, Button Cell Battery. Material: Stainless Steel, Leather.. Certification: CNAS, ILAC-MRA. Product Colour: Black/Orange (dial). Product Size: 41 mm diameter (case). Print Area: 15 x 10 mm (case back). Print Process: Laser Engrave. Delivery: 4-5 weeks (indent) from art approval. Standard Packaging: Black Box. Packing Details: 60 pcs per carton, 15 Kgs, 56x43x37 cms. Features: High accuracy quartz movement, stainless steel case and leather strap, 5 ATM water resistant, Button Cell Battery. Material: Stainless Steel, Leather.. Certification: CNAS, ILAC-MRA. 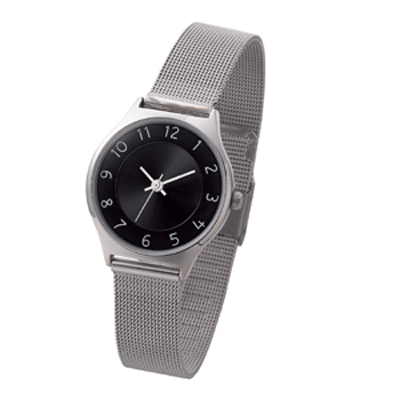 Product Colour: Black/Grey (dial). Product Size: 41 mm diameter (case). Print Area: 15 x 10 mm (case back). Print Process: Laser Engrave. Delivery: 4-5 weeks (indent) from art approval. Standard Packaging: Black Box. Packing Details: 60 pcs per carton, 15 Kgs, 56x43x37 cms. 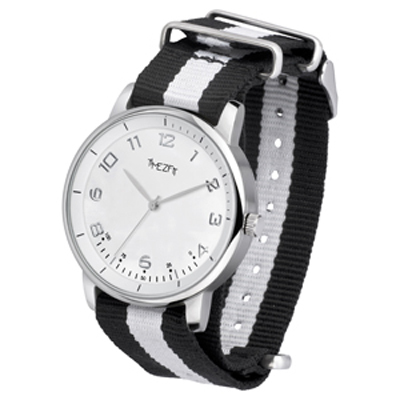 Features: Analogue gents watch with high accuracy quartz movement, silver alloy case with shiny finishing, metal strap. Waterproof.. Certification: CE, RoHS. Product Colour: Black. Product Size: 38 mm (dia) Case. Print Area: 24.5 mm (dia). Print Process: Pad print, Mirror logo. Delivery: 4-5 weeks (indent) from art approval. Standard Packaging: Bubble bag. Packing Details: 100 pcs per carton, 7.5 Kgs, 31x28x24 cms. Features: A smaller version of the popular Slap On Watch, battery included, 1 year replacement warranty on faulty manufacture. Certification: CE, FCC, USB2.0, RoHS. Product Colour: Blue (PMS 286C), Grey (PMS Cool Grey 11C), Lime Green (PMS 7488C), Orange (PMS Hexachrome Orange C), Red (PMS 186C), White, Customised colours - 250pcs MOQ . 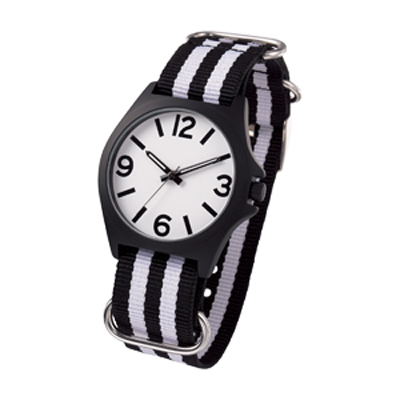 Product Size: Strap 226 x 33 x 21 mm . Print Area: Dial Dia 18 mm. Print Process: Pad Print, 3D Mirror . Delivery: 4-5 weeks (indent) from art approval. Standard Packaging: PSL Design Box. Packing Details: 200 pcs per carton, 8.5 Kgs, 49x36x20 cms.